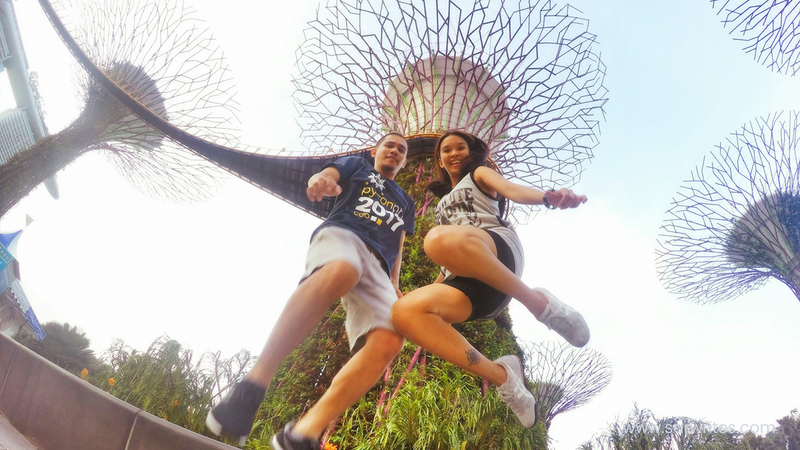 4D4N Travel Budget and Things to Do in Singapore - Life is so full of tae! 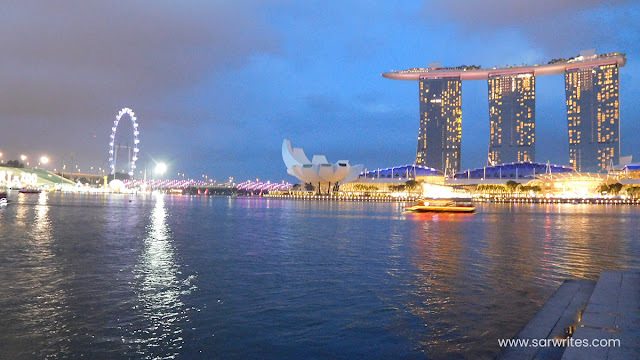 A few months ago, I read Budget itinerary: 5 Days in Singapore for P9,500 and got excited about it. Who wouldn't?! We're talking about Singapore here. It got me optimistic that I wouldn't go home broke after our trip. But it's a good thing I've read quite a few blogs that led me to a conclusion that a 9,500 budget for 5 days in Singapore is impossible. And just imagine the horror if you get offloaded at the immigration for not bringing enough money to fund your trip. While $10 USD is more than enough to get you a room for some Asian countries like here in the Philippines, the same amount is just enough for two meals in Singapore. Singapore is undeniably expensive. But with its clean streets, efficient mass transportation system, superb food, and interesting attractions, it is definitely a place you don't want to miss. When we booked a flight to Singapore, we told ourselves that we'll go on a budget-friendly trip. Honestly, we tried. 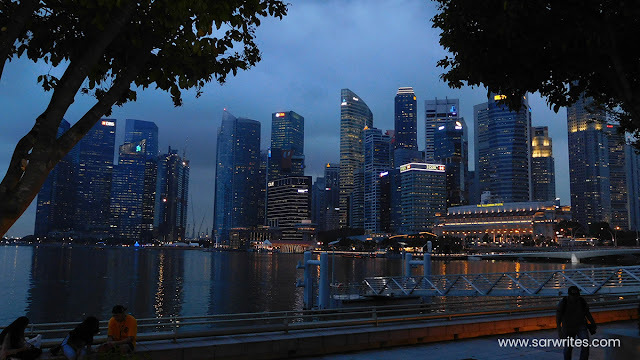 But making the most out of Singapore and budgeting don't really go well together. In short, we went a little over our budget but I would say it was definitely worth it. 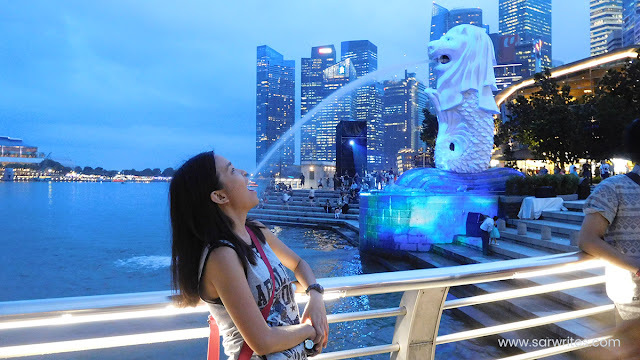 So in this post, I will show you the things that we did, places we visited, how much have we actually spent, and how ridiculous it is to set a budget for a 5-day trip to Singapore for less than Php10,000 (airfare included). Just because Singapore is deemed an expensive country, it doesn't mean that everything comes with a price tag. There's actually a lot of places in Singapore you can enjoy for FREE. 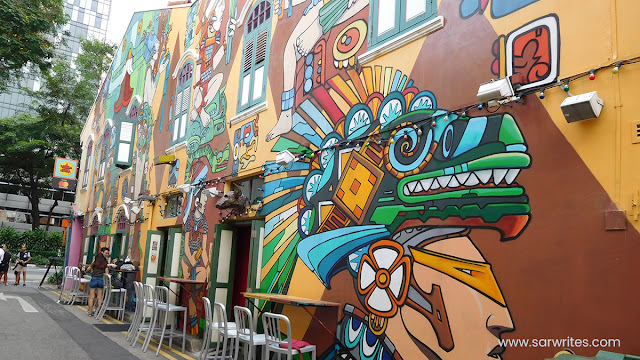 They say a trip in Singapore wouldn't be complete without visiting the instagram-worthy Haji Lane. Here, you can shop, eat, and drink. Or simply, just appreciate the uniqueness and beauty of the alley itself. And just a few steps away from it, you can immerse in the heritage, tradition, and culture of Arab Street and Kampong Glam heritage trail, where at the end of it stands the majestic Masjid Sultan. Of course, you don't want to miss the popular and iconic sights no matter how much you want to steer clear of touristy attractions. Take your photos with the supertrees at Gardens by the Bay. Walk a little further and you will pass by Marina Bay Sands. 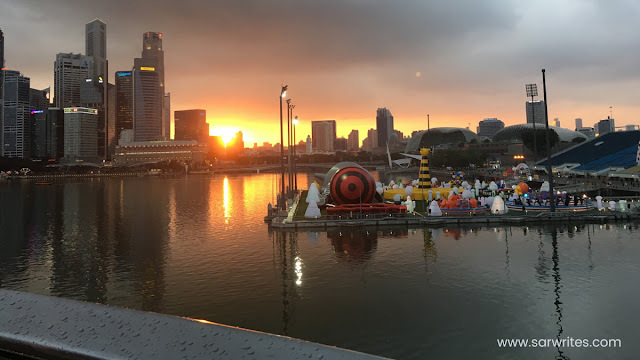 Pause for a moment and admire the beautiful sunset at the Helix Bridge. Then proceed to Merlion Park and don't be ashamed to take that obligatory pose (everybody is doing it anyway). And at night, you can feast your eyes at the city lights that's just everywhere! Clarke Quay also comes alive after the sun sets. It is where you can try the Reverse Bungy and Extreme Swing. 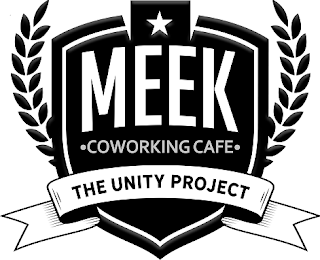 But more than that, it is a go-to place for anyone who wants to chill after work or in our case, a whole day of strolling. Beer is expensive, so you might as well just sit by the river side, talk, and have some clean fun with friends just like what we did. Visiting the Botanic Gardens, public museums, temples, or nature reserves are just few of the many things you can do in Singapore for free. Just ask Google, he knows where to take you. While there are a lot more that you can do in Singapore without hurting your wallet, paid attractions can give you a whole lot different experience, too. 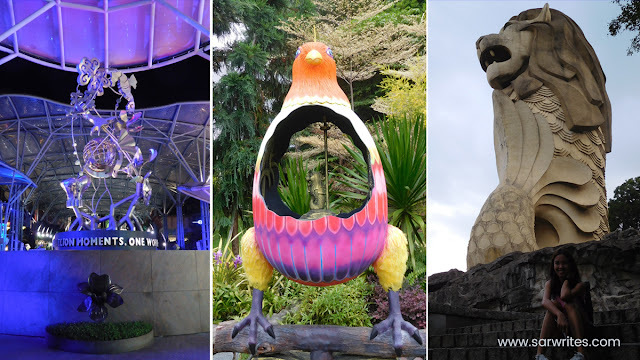 The Singapore Zoo, Night Safari, Jurong Bird Park, or River Safari, are just few of the examples. Admission to these parks can cost around $30-45 per head. Or you can get a Park Hopper ticket to visit three parks at a cheaper price. But since we couldn't afford everything, we only chose one: the River Safari. 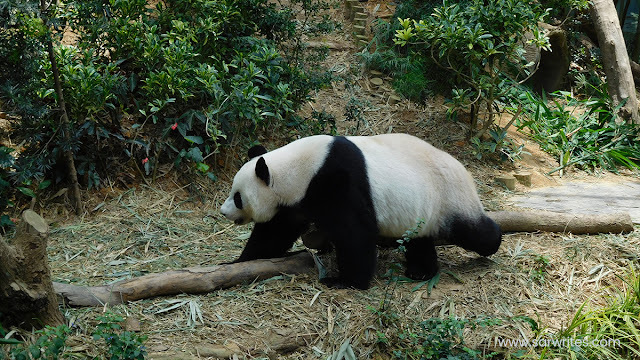 And the only reason why I wanted to go there is to see one of my favorite animals: the pandas! And it did not disappoint. 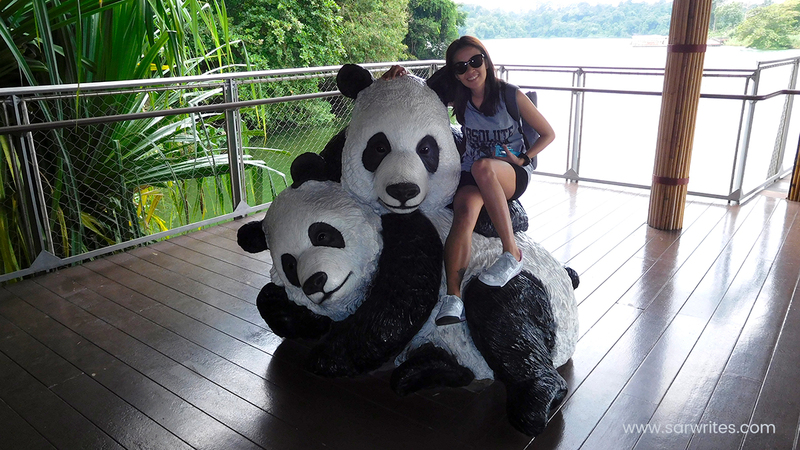 But if you're not into these wildlife reserves, head over to Sentosa Island and you will never run out of fun things to do. You can get to Sentosa via Sentosa Express or a Cable Car. Or alternatively, you can just walk. 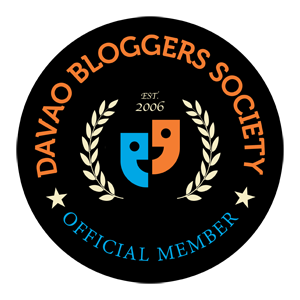 It's free and you can even enjoy a shaded garden-themed boardwalk and the view of the sea by the day. And at night? 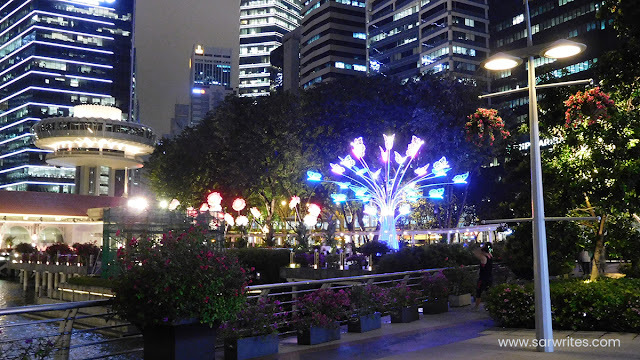 It changes into a sweeping view filled with romantic lights. 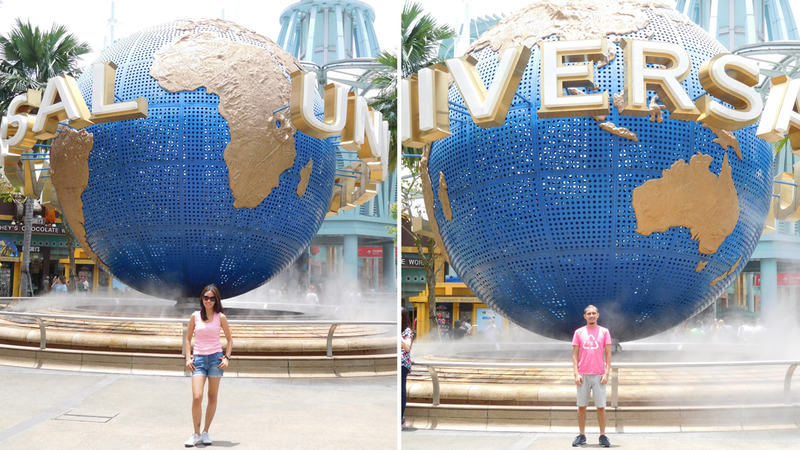 Never ever leave Singapore without visiting Universal Studios (USS). Admission tickets cost around $76. But since we bought our tickets online, we paid less than the standard rate (see details below). Tip: Prebook your tickets online with a trusted ticketing agency for discounts. USS can really be jam-packed with people, so I strongly suggest that you go there on weekdays and be there early to avoid long queues. The best and highly recommended rides have the longest lines like the Battlestar Galactica (try both Human and Cylon rides), Transformers 3D (the best! ), and Revenge of the Mummy. Aside from Universal Studios, Sentosa Island has a lot of attractions to offer. 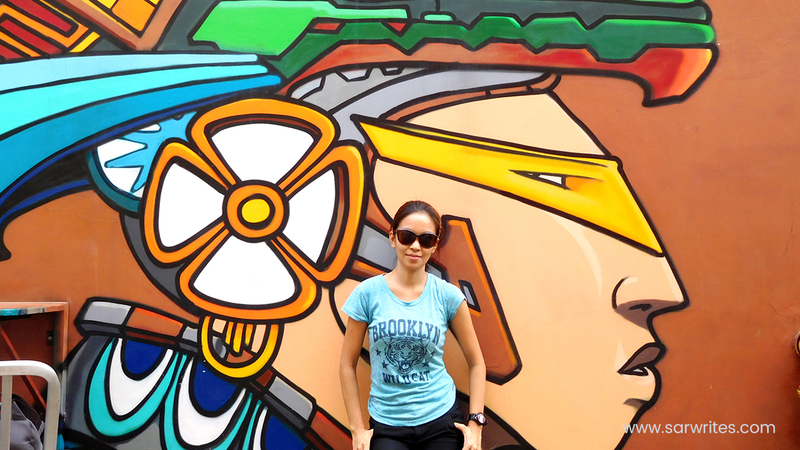 Zipline, iFly, Sea Aquarium, Trick Eye Museum, Madame Tussauds Wax Museum, Bike and Segway tours, I could go on forever. But one of the things we were so excited to try is the Skyline Luge. 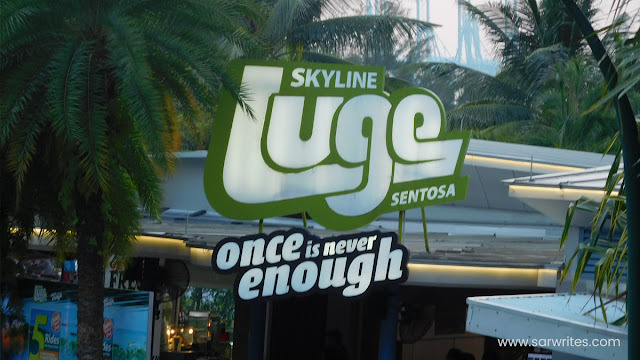 For $18, board the Skyride chairlift that will transport you to the top of the luge tracks, and while you're at it, simply enjoy the beautiful view of the Sentosa Island coastline. Then unleash your inner Mario as you race down the trails to quench your thirst for adrenaline. And it's true when they say that once is never enough because we did this three times! 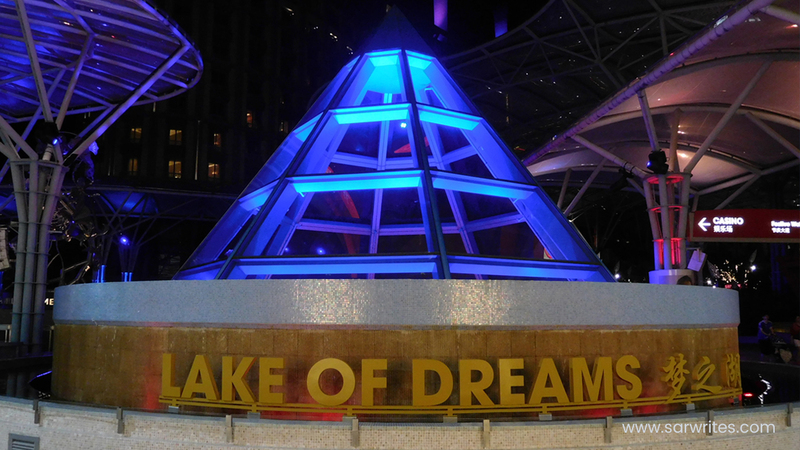 And at night, you can also enjoy this fantastic and magical musical laser light show by the beach. The Wings of Time starts with a little act/play and culminates in a fireworks display. 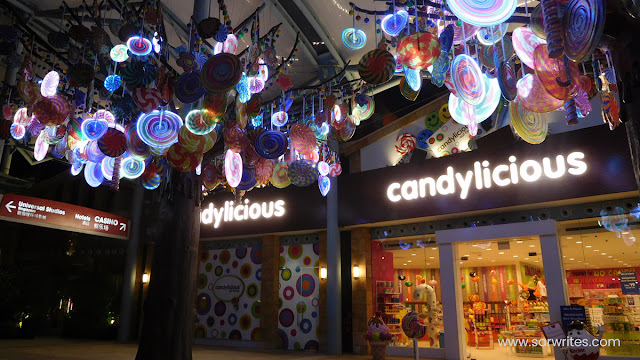 Sentosa Island is full of entertaining and fun things to see and do; some are free, some prices are hefty. But many of which are family-friendly. Tip: Wear your comfiest shoes because you will do a lot of walking. Of course, your trip to Singapore would not be complete without shopping for keepsakes. Shopping in Singapore is cheap, if you know where to go. You can go to Bugis Street, Chinatown, and Mustafa Centre (this is where you can find the best currency exchange rates so far). Or if you have cash to burn, head over to the Orchard Road. 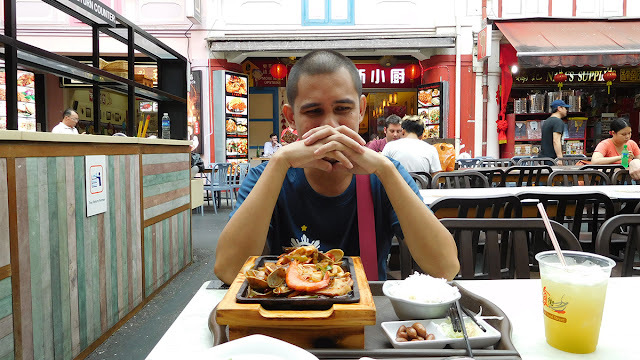 If you want to go on a food trip, Hawker Centers offer you great food for as low as $4-6 per meal, or fill your tummies with those yummy $1 street food. And if you're willing to spill a little money, try their famous chili crabs and Momiji Seafood Buffet (they have king crab legs there). 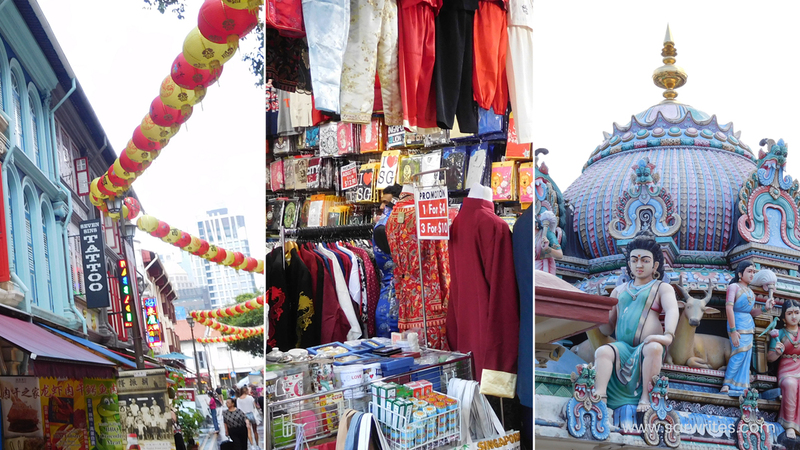 You can also enjoy delicious and authentic cuisine at Chinatown and Little India. Okay, it is not something I would call a budget trip. But take away the theme parks and paid attractions, and you get a realistic travel budget in Singapore without having to eat only noodles for meals. You can go cheaper if you're LUCKY to book a promo/piso fare. And luckier, if you have friends or family who will graciously welcome you to stay in their homes for a few days or even your entire vacay. We all have different ways of traveling, but as for me, I never go stingy with the food and would most likely splurge on attractions because I have always believed, you can always make money but not memories. We didn't show our funds. But I guess it will be safe if you have a cash to show in case the immigration officer becomes doubtful of your entry to SG. As long as you can show that you are financially capable (e.g. 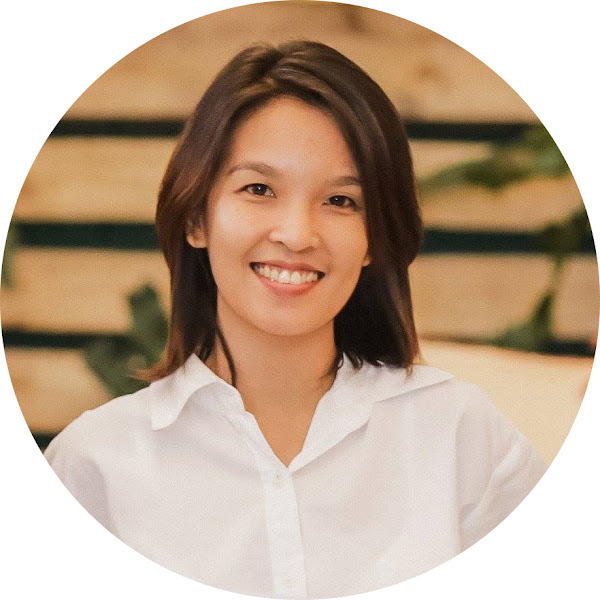 you have a stable job, a business, or good bank records) in the Philippines, then you're good to go. Your expenses is already cheap for a Singapore trip.